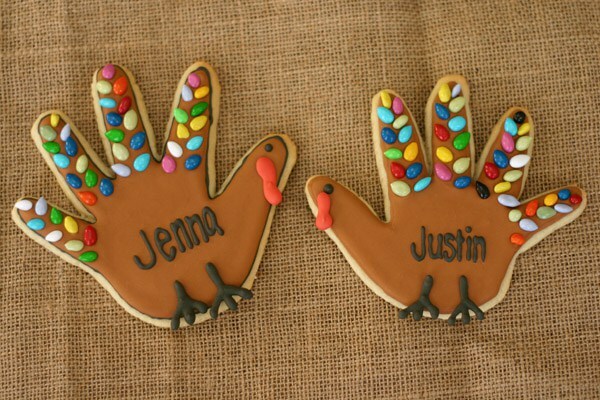 Want a delicious recipe to keep your kids busy creating something fun on the weekends or during Thanksgiving break? 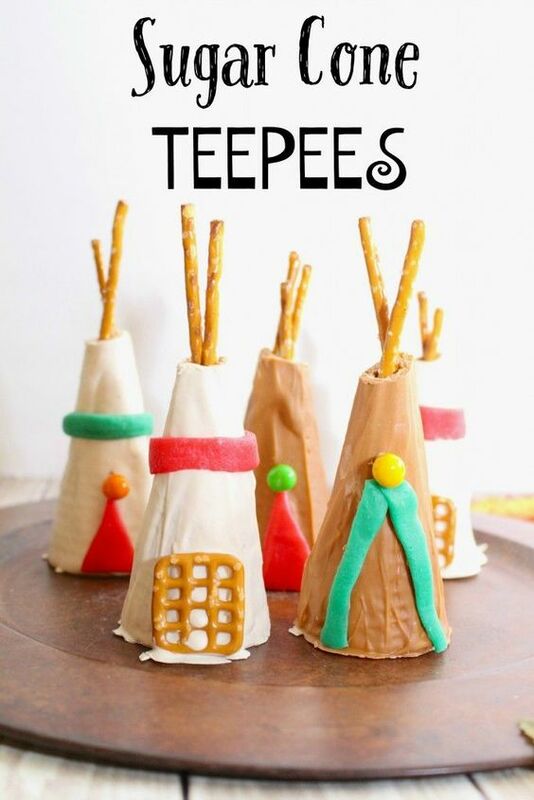 Let them try out these awesome Sugar Cone Teepees for a sweet treat! They turn out stunning and aren’t nearly as complicated as you would think! This recipe will yield 6 hand-dipped chocolate sugar cone teepees. Get instructions here. 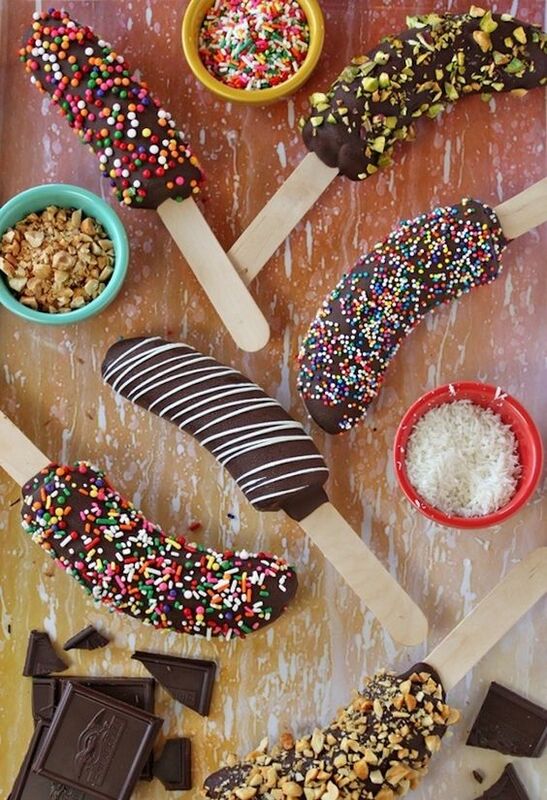 Coat your bananas with semi-sweet chocolate and a variety of toppings: salted nuts, sprinkles, toasted coconut, and white chocolate. A great variation is salted pistachios, but anything that adds a little crunch is perfect. Set them out of the freezer for about 10-15 minutes, so that the bananas softened just a bit and have a creamy, almost ice cream-like consistency, instead of a rock-hard texture. Get instructions here. 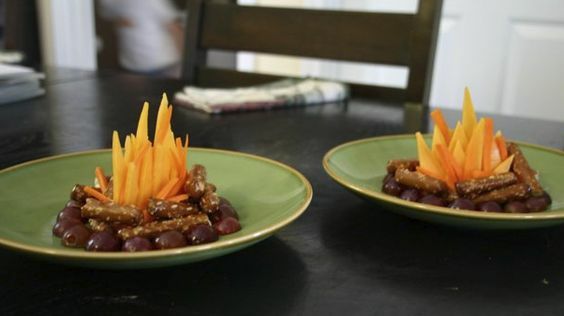 Halved grapes make the fire ring, pretzels make the sticks, and cheese and carrots are cut up to make the flames. Fun and nutritious for youngsters and the young at heart. We love these! How perfect would they be as a “place card” on your birthday party table? Get instructions here.